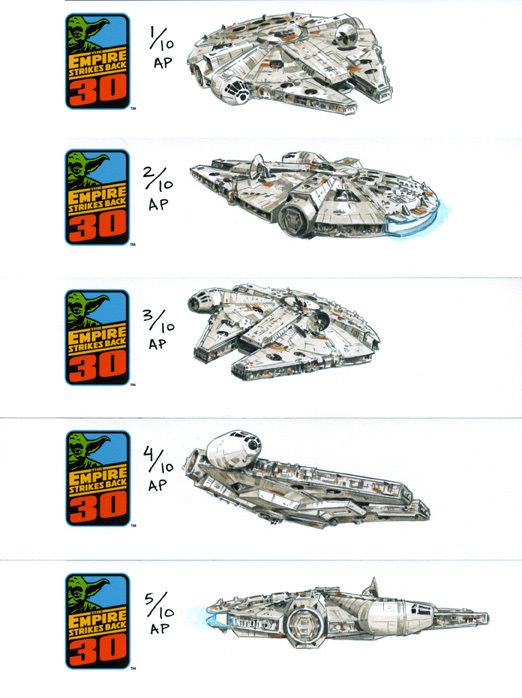 Chris Trevas has done a lot of work based on the Millennium Falcon. I first became aware of his work when I stumbled upon his “Never Tell Me The Odds” print. I loved the way that it covered such a well known scene from The Empire Strikes Back, but from a different viewpoint. The following year, he released the incredible “The Hunter And His Prey”. The year after that “His Vision Returns”. I loved the style and the way he was able to take an established scene and alter our viewpoint of that scene. 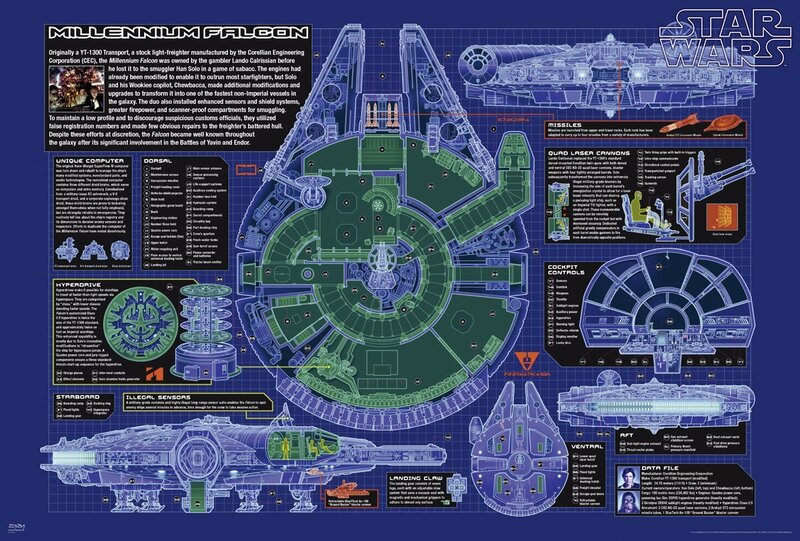 In addition to his art prints, Chris was also heavily involved in the Star Wars blue prints, the Haynes manual and the thoroughly recommended “3d Owners guides” with Chris Reiff and Ryder Windham. How long have you been a professional artist and how did your association with Star Wars begin? My first official Star Wars job was in 1995 for the Star Wars Roleplaying Game. I had met the editors at West End Games during the summer at a convention in Chicago. They liked my work and called me that fall to work on one of their books. I worked with them for many years on a variety of game books, cards, and a few covers. How long does it generally take to create a new piece? What stages do you have to go through before the final image is ready for print or publication? It varies a lot depending on the complexity and style since I work on a wide range of projects. A typical book interior illustration might take a few days while larger pieces like the prints I’ve done for the Star Wars Celebration Art Shows take a few weeks. 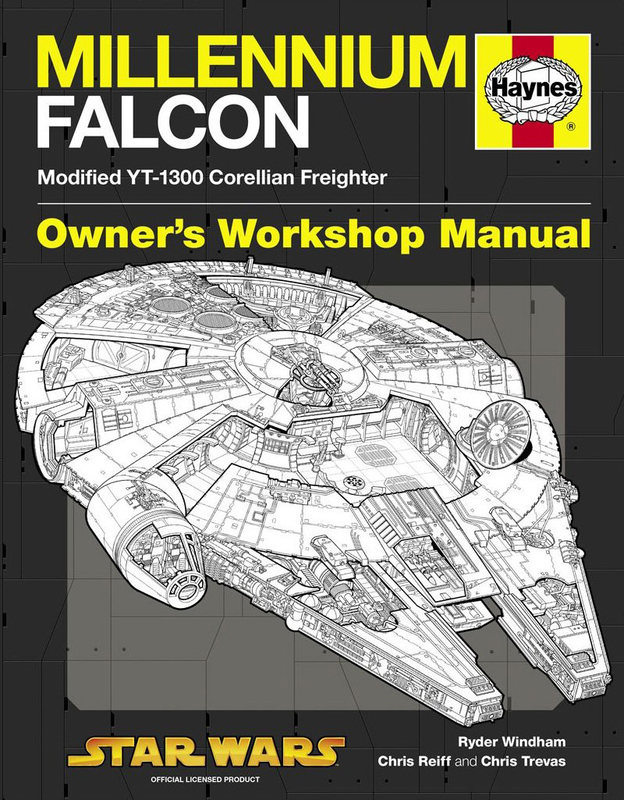 Something like the Haynes Falcon Manual cover takes even longer. I usually only get a brief written description from the client from that I’ll sketch up a few thumbnail sketches to figure out the illustration. These are usually just for myself to decide on the composition. Once I have a good idea worked up I do a black and white drawing that is submitted to Lucasfilm before proceeded to the final art. I work digitally now so I ‘paint’ the art in Photoshop and upload the file to the client when it’s done. I also often use Adobe Illustrator for my more technical work. I appreciate that much of your work is commissioned by publishing houses for the book work that you have done, but how much freedom do you have in creating new work? Can you work on images that suit you? Some books have very specific needs where I might not have a lot of freedom, but a lot of book work is very collaborative. The Haynes manuals for example are a blank slate when the project starts. Co-illustrator Chris Reiff and I work with the author, Ryder Wyndham, to determine the artwork we want to create and the style of each piece. There’s a lot of back and forth with the artwork and text influencing each other. 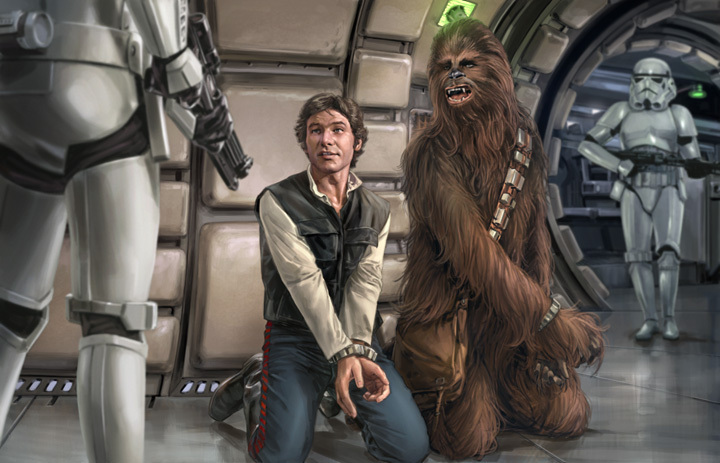 Other books like the Star Wars Essential Guides have specific scenes they need, but I usually work with one or more other artists and we can often choose specific images we’d like to do. 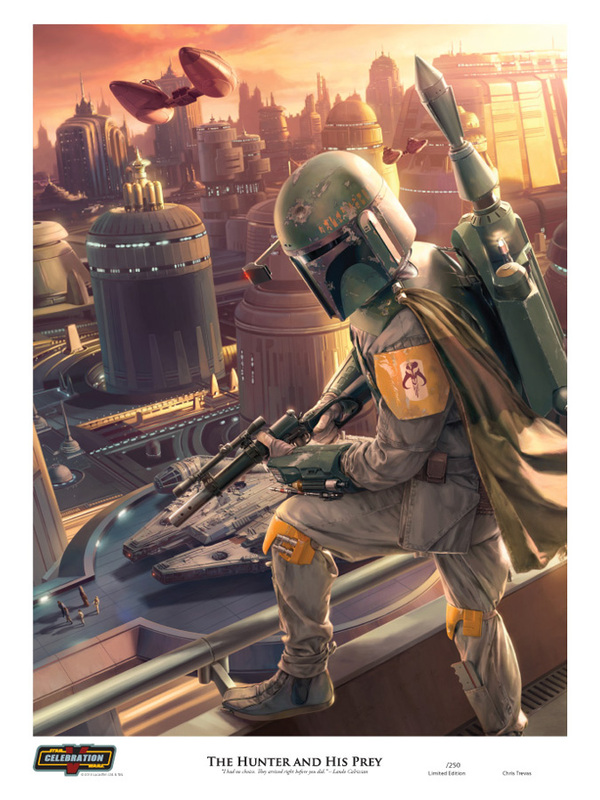 I have complete creative freedom with my art prints for Star Wars Celebration. That makes those pieces extremely rewarding to work on from concept to execution to final production. What are you working on at the moment? I’d imagine that you have a few works on the go at any one time. I’m working on some toy packaging artwork for the upcoming Transformers 4 movie. It’s a nice little break to illustrate for another franchise. I have a special Star Wars Valentine’s Day illustration I’m doing for the Randomhouse website. That’s a regular project I’ve done for the last few years. I’m also about to start working on a new Star Wars book. I only just got some brief details on what’s needed and I’m looking forward to learning more about the project. I have plans for a couple other Star Wars books for later in the year. You’re clearly a Star Wars fan. What has been your favourite work to date? It’s always hard to pick a favourite. My limited edition print for Star Wars Celebration V, ‘The Hunter and His Prey’ might be my favourite although all of the Celebration prints I’ve done are very personally rewarding. 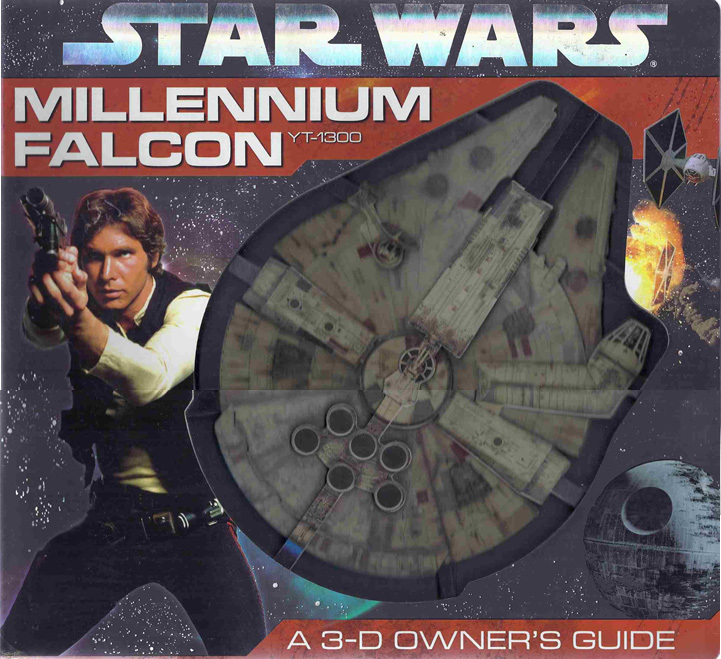 The 3-D Millennium Falcon Owner’s Guide was fun and very unique. That might be my favourite book, but I’m proud of the Haynes Manuals too. What media do you use when creating these pieces? Are you a digital artist? I do work mostly digital these days. My programs of choice are Adobe Photoshop and Illustrator. I use Photoshop for more realistic rendered pieces: scenes, portraits, etc. Illustrator for technical line work and diagrams. I first encountered your work when I came across your awesome “Never Tell Me The Odds”. The thing I particularly like about your work is the out of the box perspective that you bring to established scenes. What inspires you to come up with these unique views? I try to bring something new to every piece to make it exciting. That’s especially important when working with familiar scenes from the movies. I want to make it interesting and give the viewer something unsuspected. Usually, the more time I have to work on a piece means the more time I can turn it around in my head until I come up with just the right idea. As well as original art pieces, your work also encompasses more factual, technical pieces such as the Blueprints or the incredible 3d owners manuals. Do you have a preference in style? I like to switch it up just for a change of pace. Coming up with creative solutions for various styles keeps my job interesting. I like to illustrate characters and scenes the most, but the technical work is a welcome break after large ‘painted’ projects. Because of the technical work that you’ve done, how hard was it to reconcile the discrepancies in the Millennium Falcon over the three movies? Compete reconciliation is impossible, but we try to do the best we can while working on the various Falcon projects. Chris Reiff, Ryder Windham and I have worked together on three so far: the poster for Star Wars Blueprints: The Ultimate Collection, the 3-D Owner’s Guide, and the Haynes Workshop Manual. It’s nice to keep the team together like that so we can make things consistent and expand on the ship’s details with each new project. Our work is mostly built upon the cutaway in Incredible Cross Sections by Richard Chasemore and Hans Jenssen. We’ve fine tuned the ship here and there and added a lot, but they really had the best ship layout and we want to give the fans a definitive Falcon instead of the ever changing layouts published in the 80’s and 90’s. We’ve put a ton of research into those projects, utilizing original set blueprints and precise reference from the various exterior incarnations (32 inch model. 5 foot model, ANH and ESB “full” size sets). We tend to favour the 32 inch model for the outside and the ESB interior because they get the most screen time in the films. Our technical work is usually written from a post-ROTJ perspective so the later set pieces take precedent. When I’m illustrating scenes for other projects I always keep in mind the time frame and make sure to have period-correct interior details like the hallway lights and other less obvious differences. You’ve done quite a lot of work featuring the Millennium Falcon. What is it about that bucket of bolts that appeals to you? I grew up with that ship and I just love the design. It has so much character and it’s perfect in it’s imperfection. In the classic trilogy, especially ESB, the Falcon is treated like a main character. It’s my favourite Star Wars subject to illustrate and I work on Falcon art whenever I can. Of the artists currently involved with Star Wars, who do you admire the most? So many of the artists are close friends now after doing so many convention art shows together. One artist who has been a big influence over the years and continues to be is Hugh Fleming. Hugh is best known for his comic covers and has recently come back to Dark Horse to do covers on the ongoing Star Wars series. Myself and many other artists at Celebration Europe II in Germany last summer were awestruck to meet him and have him in the Art Show with us. A lot of us were in art school in the 90’s and Hugh’s paintings were hugely influential during that period. He has a great talent for capturing the classic SW characters in new scenes (Indiana Jones too). He’s a big influence on my own thinking outside the box approach. Are you planning to return to the Millennium Falcon anytime soon? I don’t have anything planned yet. I have a few ideas for illustrations in my head, but no outlet for them right now. What are your hopes for the Episode VII and the Star Wars franchise under Disney? I’m excited for the future of Star Wars. I hope to see the Falcon fly again on the big screen. It’s hard to believe we’re getting the sequel trilogy and many more movies. There are a lot of very creative people involved that are huge fans of the source material and I’m optimistic that they will do George Lucas’ legacy proud. For those lucky enough to get an Artist proof of Chris’ Never Tell Me The Odds, here are some of the Remarque’s that Chris did. Chris Trevas’s Web Site, Store envy shop. 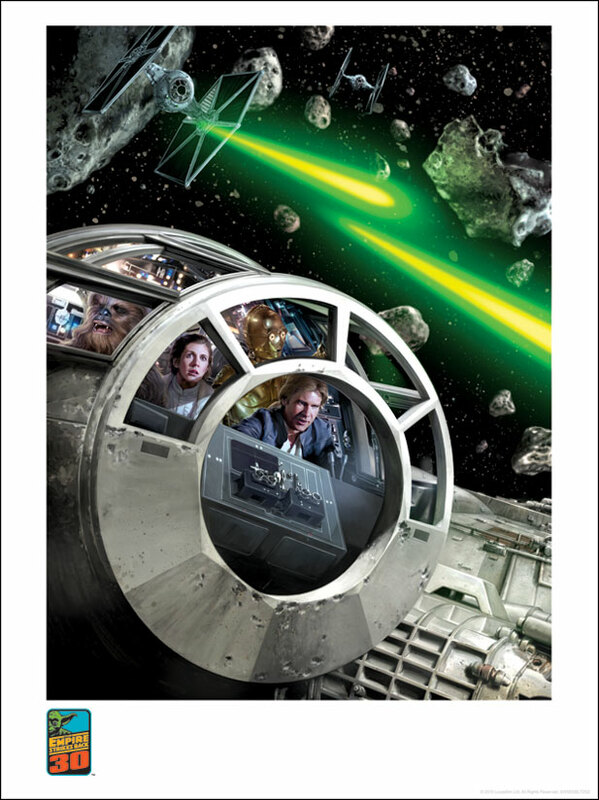 This entry was posted in Art, Interview and tagged Art, Chris Trevas, Millenium Falcon, Millennium Falcon, Star Wars. Bookmark the permalink.